West Bengal Public Service Commission (WBPSC) @ pscwbapplication.in has released the Official WBPSC Fire Operator Syllabus 2018 in their official Website. Now we have Taken that Syllabus and Placed Her with the Free of Cost for the candidate’s Sake in order to grab the Job Opportunities of 1452 West Bengal Fire Services Department or WB Fire Brigade Department Posts in the West Bengal State. WBPSC Fire Operator Exam Pattern with the clear-cut View of Exaplantion will be Illustrated in this Page. 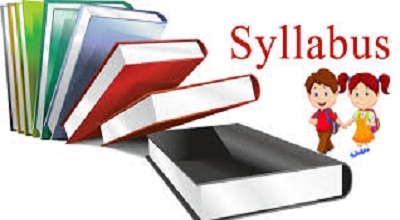 Candidates who are very serious in their Preparation Process with the help of this West Bengal Fire Services Syllabus, they can gather here with the Lot of Details which is used for the Examination Use. WBPSC Fire Operator Syllabus 2018 is very Helpfully for the Contenders at the Time of Taking the active Participation In the Exam. In order to solve the less Duration of time and have to attempt the More Number of Questions in the examination, those candidates must and could have to refer this WBPSC Fire Service Syllabus and the West Bengal Fire Operator Exam Pattern. Then only this will be Possible to get the qualifies marks in the examination. Applicants can also get the Official West Bengal Fire Services Syllabus in the Main website @ pscwbapplication.in or they can check into this @ recruitmentIndia.in page. Brief Understanding about the West Bengal Fire Operator Exam Pattern PDF will be Given here. The Exam Question paper is an Objective Type (OMR Based Exam). And the WBPSC Fire Operator Exam Pattern Includes the Topics and the Indication Marks are 80 marks having 80 question of 1(one) mark each, comprising of multiple choice objective type questions on English (20 marks), General Studies (40 marks) and Arithmetic (20 marks). So use this West Bengal Fire Operator Syllabus and then Start the Preparation Immediacy. Some of the Major topics that will include in the WBPSC Fire Operator Exam pattern are the English Language, Numerical Ability, Reasoning, General Awareness, General Science and Concerned Subjects. The examination will be of 10th standard. All the topics that were included in the West Bengal Fire Services Syllabus PDF will be Proceed here with the Exactly Information. Without any Dilemma, those who are abling to Grab the Job opportunities of the Fire Operator Posts, they could make the Practise sessions with the use of this WBPSC Fire Service Syllabus in a Proper manner. All the Downloading links we have described at the end of this page. For more Exaplantion about the West Bengal Fire Services Syllabus. Applicants can check out the Officials Notification @ pscwbapplication.in for more Details on West Bengal Fire Services Syllabus 2018. We are also giving the West Bengal Fire Operator Previous Papers For the More Practise sessions for the exam which is useful for the Examination. Moreover, this WBPSC Fire Operator Syllabus @ pscwbapplication.in will be downloaded by the candidate those who have submitted their WBPSC Fire Operator Application Forms within the End Date. They only take the use of this Syllabus. We know that applicants are making the more effort in order to score the Better marks in the examination. Those candidates who will get the successive Qualifies marks with the better way of the preparation process of this West Bengal Fire Services Syllabus, they will deflate get the achievement in the Examination. For more Latest Employment News, Stay tuned to out Page.